Here is the reason people have proclaimed rock's death. Stale rock music with pop that misses the mark. 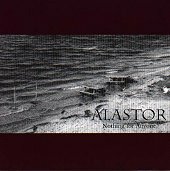 Atlanta, Georgia's Alastor thrives off of a non-existent energy in their music. It is lacking any creativity, any style, and any sign of originality. For all anyone could tell, this band could be their next door neighbor's garage-bar-rock band trying to get out of the garage. Songs like "East of Suez," "American Universities," and "Deception Bay" just don't make the grade. And neither does the rest of the album. There are sparks on here that seem to be going somewhere, but one way or another, the band puts them out before they turn into fires. If this is the fate of modern rock, I want to jump ship before I go down with it. The band makes bold claims like "literate rock with an attitude" and maps out their "plans for stardom" in their bio. They've got the drive, that's for sure. But, why do the bad bands always have their careers mapped out while the good ones like to get drunk, sleep in until 6pm, and forget to practice, and thus go nowhere? I don't know. But, who am I to stand in the way of this band's destiny? Another thing, they butcher The Pixies "Debaser" and Social Distortion's "Ball & Chain" with their two hidden tracks. Though, these songs also happen to be the two best songs on the album, You can't kill the classics, and this band is testament to that. I'll give this album a D-.